KUALA LUMPUR: The Malaysia Singapore Business Council (MSBC) sees the upcoming KL-Singapore high-speed rail (HSR) project as a strategic avenue to boost trade between the two countries. Its chairman Datuk Seri Dr Nik Norzrul Thani said the council saw opportunities to facilitate participation of businesses from both countries via the mega project. “The HSR will be a major catalyst to boost trade relations. “The time spent to travel between Kuala Lumpur and Singapore will drop to 90 minutes – this will change how businesses in the region operate and the potential is huge,” he told StarBiz. 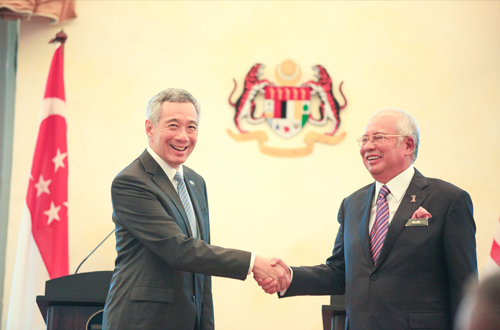 The MSBC was set up in July 2004 to promote business and investment activities between Singapore and Malaysia. It acts as the private sector conduit for Malaysian and Singaporean businesses, with the aim to facilitate the participation of businesses in mega projects including the HSR and Digital Free Trade Zone as well as conduct joint programmes for human capital development of skilled workers. Dr Nik Norzrul said MSBC aimed to bring in Malaysian businesses, especially the SMEs, to tap into the opportunities that came along with the HSR, especially in the areas covered by the upcoming railway line. "We will act as the bridge between Malaysian and Singaporean businesses to work with each other and enable them to tap into opportunities in both markets," he said. A lawyer by profession, corporate leader and academician, Dr Nik Norzrul took over as chairman of the council on Jan 1, 2017. He also sits on the board of several government-linked companies including Amanah Saham Nasional Bhd, Fraser & Neave Holdings Bhd, MSIG Insurance (M) Bhd and Ranhill Holdings Bhd, and is chairman of Al Rajhi Banking and and Investment Corp (M) Bhd and Perodua Sales Sdn Bhd. Dr Nik Norzrul is also executive chairman of renowned law firm Zaid Ibrahim & Co, the largest law firm in Malaysia that was founded by former minister Datuk Zaid Ibrahim. The firm is a member of the ZICOlaw network with a regional presence and offices in 10 Asean countries. On a separate issue, Dr Nik Norzrul said there was still a misconception that the law firm was linked to the former minister, although he had left the firm in 2008. He said the name of the firm had been maintained for technical reasons as the law in Malaysia currently did not allow for law firms to use acronyms in its name. “We have moved forward and have been accepted in the market as a separate entity from Datuk Zaid, the politician,” he said.